To add a task / event while in the calendar: Mouse over the cell date. “Add Event” appears. Click on this to reveal the add task / event dialog / pop up. 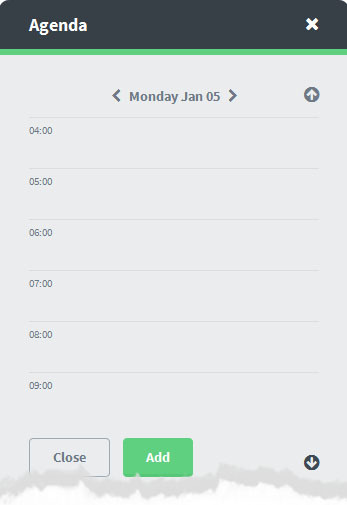 Each cell has a Day Diary view – see below. To open it simply click in the cell.